Stone is the DNA of Palestine, mingling with its culture, society, economy, and politics. The largest industry, it composes 7% of the annual GDP and provides 20,000 jobs according the the Union of Stone and Marble Industry. Today the industry mainly produces building stones, uncut stone blocks, slabs, tiles, and customized decorative stones. 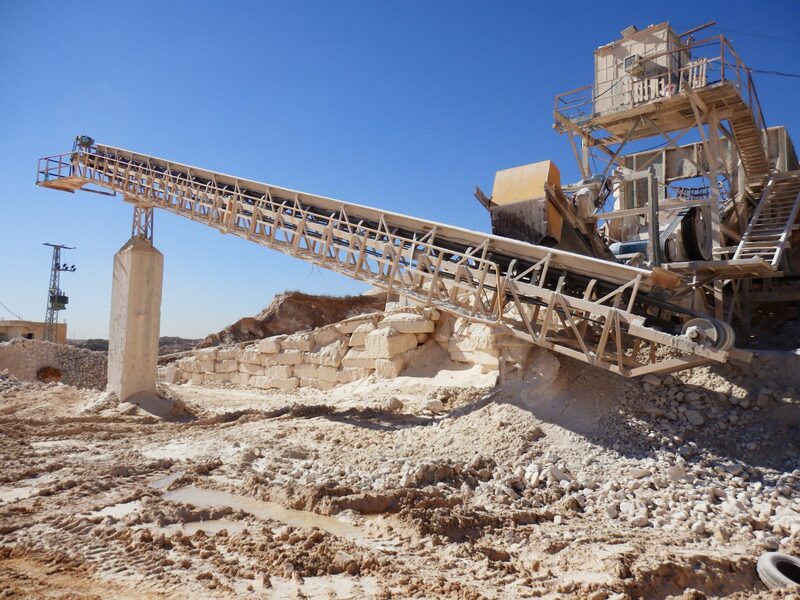 All stone quarries and stone crushers are located in the West Bank, whereas the Gazan industry produces sand. 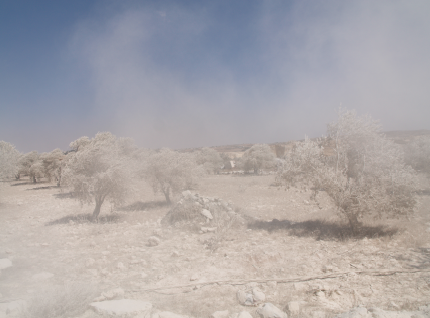 Quarries can be found mostly in Hebron, Bethlehem, Nablus, Ramallah, and Jenin. Israelis dominate the stone crushing industry by controlling two thirds of stone crushers, all of which are in Area C. Future prospective quarry sites are also in Israeli controlled Area C where it is impossible for Palestinians to operate. The process of stone extraction in its current methods is dangerous to human health and safety, the integrity of the natural landscape, and infrastructure. The parceling and carving up of the land through stone extraction has exponentially grown since the Palestinian Authority’s 1999 privatization and deregulation of the industry, which has perpetuated its damaging methods. When the PA made stone the only non-public natural resource it was removed even further from the control of the Palestinian people. Under deregulation the quarry and factory owners were able to evade license requirements, erasing the mechanism for accountability to the protection of natural areas and residents of municipalities with heavy stone extraction. Today, 46% of quarries, 80% of factories, and 87% of dump sites are in areas forbidden to the stone industry. 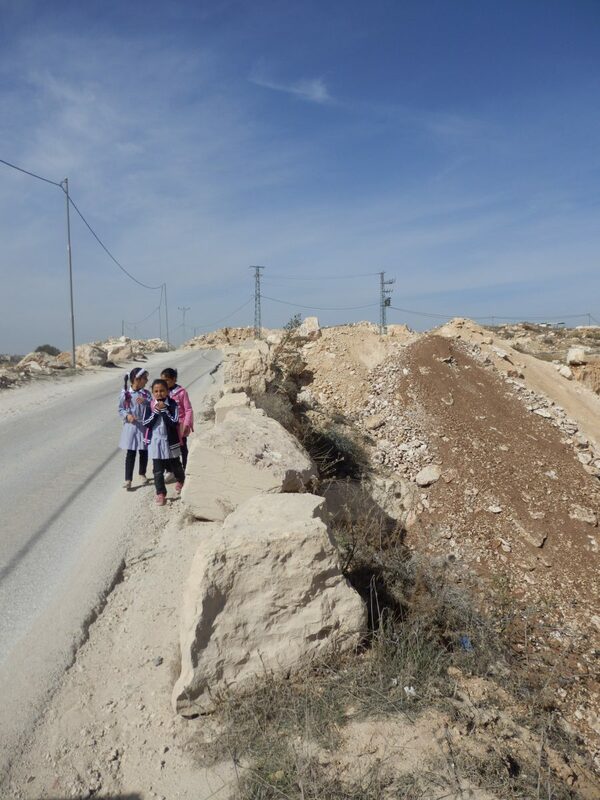 Additionally, the occupation and control of Palestinian lands has large consequences for the stone industry through preventing periodic monitoring of sites and application of the law. Quarries have stone crushers and factories on site. Whereas the quarry is the site of extraction from an outcrop, bedrock, or boulder, crushed stone is extracted by drilling, blasting, excavating, and crushing bedrock, boulders, and cobblestones and is the basic ingredient of concrete, asphalt, and roads. Given the restriction on Palestinians to run stone crushers with the aid of explosives, many Palestinian run sites are not economically viable due to their limited use of diggers for extraction. The video archive below is a visualization of current Palestinian techniques of stone extraction. A vast quarry in Bani Na’im, Hebron Governorate, West Bank. Drilling into bedrock at a quarry in Bani Na’im, Hebron Governorate, West Bank. A man stands next to a stone cutter at a quarry in Beit Fajjar, Bethlehem Governorate, West Bank. A man shovels dust into a wheelbarrow at a quarry in Beit Fajjar, Bethlehem Governorate, West Bank. A bulldozer lifts and rolls large boulders cut from the bedrock at a quarry in Beit Fajjar, Bethlehem Governorate, West Bank. A bandsaw cuts through a large boulder at Reach Holy Land quarry in Beit Fajjar, Bethlehem Governorate, West Bank. A worker uses cables to move polished stones at Reach Holy Land quarry in Beit Fajjar, Bethlehem Governorate, West Bank. 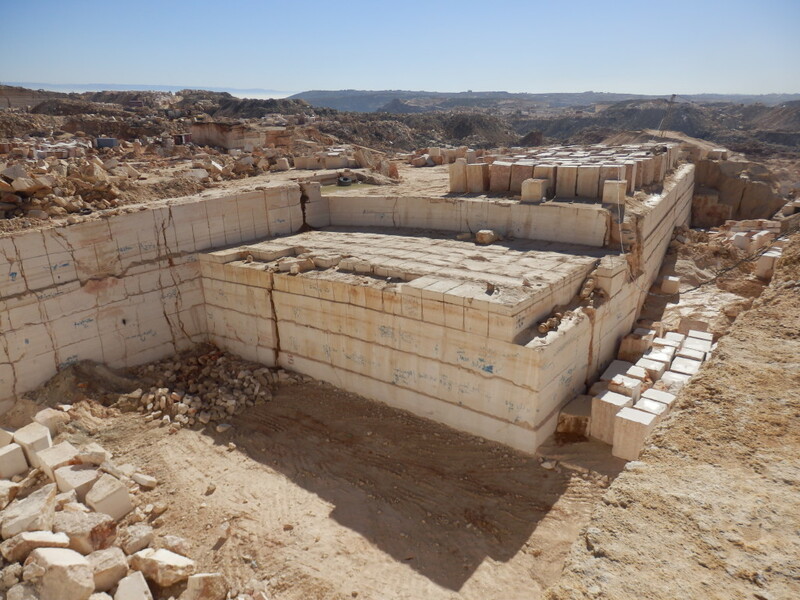 A hydraulic machine sands a large boulder at Reach Holy Land quarry in Beit Fajjar, Bethlehem Governorate, West Bank. A man feeds a polished stone into a hydraulic planer at Reach Holy Land quarry in Beit Fajjar, Bethlehem Governorate, West Bank. A worker applies polish to stone after it has been planed at Reach Holy Land quarry in Beit Fajjar, Bethlehem Governorate, West Bank.